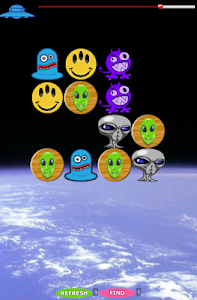 Alien Pic-Fix is a far out matching game for the ET Fanatic. It features cards with fun outer space inhabitants. The gameplay is simple: Match the game cards, but make sure they have a linear link! If they don't, the little green men will merely keep staring you dead in the eye while the time runs out! Don't worry if you get stuck, you can always push the refresh button (and by always I mean 3 times) if you need the game to make a match for you, you can use the find button (3 times as well). Each round becomes more difficult, so don't slow down! 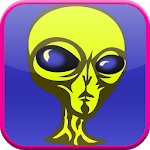 The app is designed by a team of actual alien lifeforms that survived a wreck at Roswell in 1947. Mr and Mrs Extra-Terrestrial have been living under assumed identities, and hope to bring you the coolest games in the cosmos. 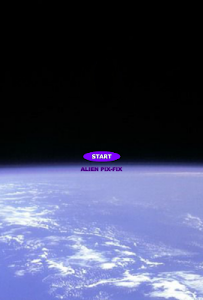 So enjoy Alien Pic Flix, for the out of this world casual gamer that says: I want to believe! v2: Fixed the bug that caused crashing when start button was pressed. v3: Fixed two images that were not correctly matching.